In a typical weekend breakfast scramble (pun sort of intended) to throw an egg on top of something delicious, I saw that I had all the ingredients for guacamole, but didn’t just want to eat eggs with a side of guac. Enter… avocado pizzette. It not only sounds fancy, but looks more presentable as well. I’m not much of a baker, so deciding on the right dough recipe was tough. I went with a simple yeast-free one and it turned out better than I had expected. But I’m thinking a base layer of tortilla could work better, since it’s thinner and a classic guac complement. Preheat oven to 400. Combine flour, salt, and herbs or spices. I used cayenne pepper and red pepper flakes to add heat and zest to otherwise rather bland dough. Then add milk and egg and mix thoroughly. Line a baking sheet with foil and oil and then spread the dough around. Bake for 10-15 minutes. I decided to not make full-on guacamole. Instead, I sauteed tomato and shallots, because I love how those savory flavors combine with fried eggs. 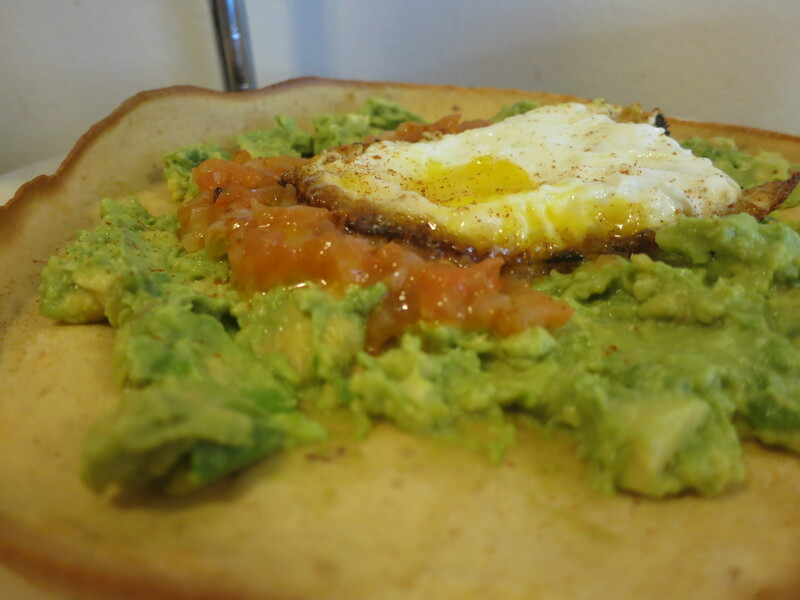 I mashed avocado with salt and lime juice; the acid cuts the heavier egg nicely. 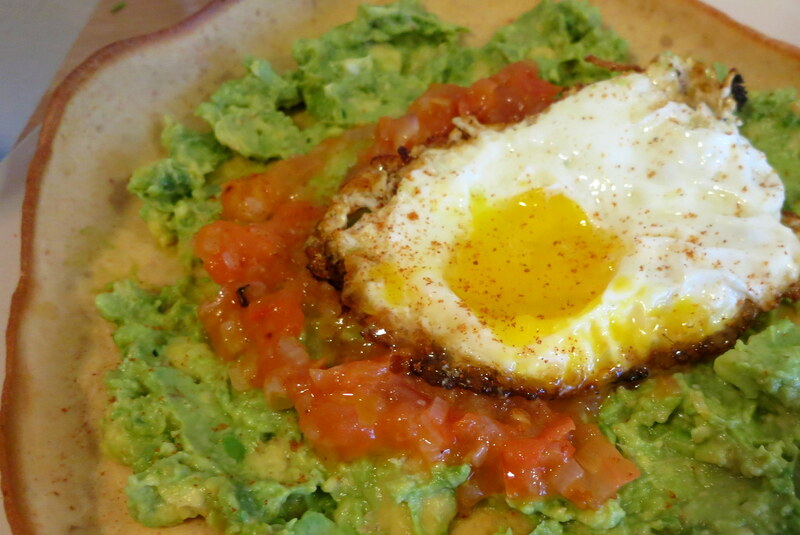 So this deconstructed guacamole topped the crust, with the fried egg as the cherry on top. I had a slight accident with the yolk and my wall (not joking), so it looks deflated, and I ran out of eggs so had to work with the damaged goods 😦 Sprinkle with freshly ground pepper and cayenne and enjoy!